Thames & Hudson, 9780500651117, 48pp. 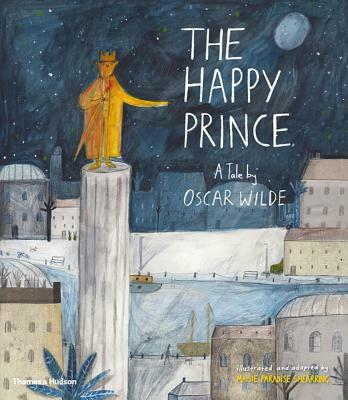 Originally published by Oscar Wilde in 1888, The Happy Prince is the much- loved story of a gilded statue, a kind- hearted Swallow, and generosity of spirit. A Swallow bound for Egypt takes refuge at the feet of a golden statue of a prince erected in a European town, agreeing to bring pieces of the statue to less fortunate city dwellers at the request of the prince himself. Illustrator Maisie Paradise Shearring offers a lively take on this well- known tale, creating each scene in whimsical detail. This fresh perspective appeals to a new generation of children, while imparting an important life lesson at the same time.